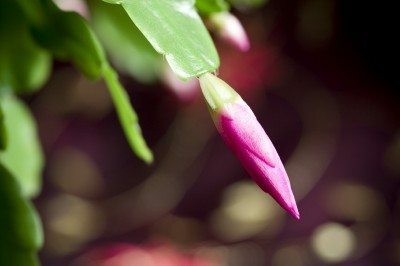 The question, “why is my Christmas cactus dropping buds,” is a common one here at Gardening Know How. Christmas cactus plants are succulents and hail from the tropical forests of Brazil. Most of these are sold straight from greenhouses where they have experienced strictly controlled lighting, moisture and temperature conditions. Just moving these lovely plants into your home can cause bud drop on Christmas cactus, but there may be other factors at work as well. Read on to prevent Christmas cactus buds falling off and preserve the incredible flower display. Why is My Christmas Cactus Dropping Flower Buds? Sometimes I feel like the world is conspiring against me and my plants. There are so many factors that can cause them to fall ill or fail to flower or produce fruit. In the case of Christmas cactus bud drop, the causes can range from cultural care, lighting, and even the fickleness of the plant to its situation. These plants need more water then true cactus and require a photoperiod of at least 14 hours of darkness to set buds. Other issues that may result in a Christmas cactus dropping flower buds are incorrect moisture, drafty conditions, hot or cold temperatures, and an excessive number of buds. Outside of root rot, bud drop on Christmas cactus is the most common problem. 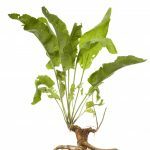 It is often caused by a change in environment, as these are sensitive plants brought up in carefully controlled environments. Simply moving your plant to a new location in the home can induce bud drop but new plants are in for a whole set of shocks that may contribute to falling buds. New temperatures, humidity levels, lighting, and care will confuse the plant and cause it to stop production on all those glorious flowers. Mimic the care from a greenhouse as closely as possible. Water evenly but do not allow soil to get soggy. Suspend fertilizing in late summer. Keep temperatures between 60 and 80 degrees F. (15-26 C.). Anything above 90 F. (32 C.) can result in Christmas cactus bud drop. Christmas cactus reside in the deeply vegetated tropical forests of Brazil. The dense tree canopy and other vegetation make a warm, shady womb in which these epiphytic plants develop. They require a period of time without much light to force bud formation. To ensure that there are no Christmas cactus buds falling off and production is dense, provide 14 hours of darkness in September until the end of November, but bright light the rest of the year. These forced “long nights” are naturally experienced by the plant in its native region. During the day, the plant should be placed in bright light for the remaining 10 hours but avoid scorching sun from southern windows. Once buds have set and begun to open, the false lighting regimen can end. If photo period and care are all correctly followed, there may be other problems with the plant. Incorrect fertilizer can cause the plant to push out so many blooms that it drops some off to make room for full development of the others. This abortive behavior is common in fruit plants, as well. Keep the cactus away from drafty doors and blowing heaters. These can dry the plant out and cause ambient temperatures surrounding the plant to fluctuate too drastically. The shock of such variant temperatures may cause bud drop. Indoor conditions in winter often reflect dry air, which is a condition Christmas cactus can’t tolerate. They are native to a region with rich, humid air and require some moisture in their atmosphere. This is easy to accomplish by placing a saucer filled with pebbles and water under the plant. Evaporation will moisten the air. Simple changes like these are often the answer to bud drop and can have you on your way to a fully blooming plant just in time for the holidays.